Ideal home for Betta Splendas Siamese fighting fish. Ventilated enclosures constructed of durable, easy to clean plastic make comfortable homes. Self-locking lid securely snaps onto base. 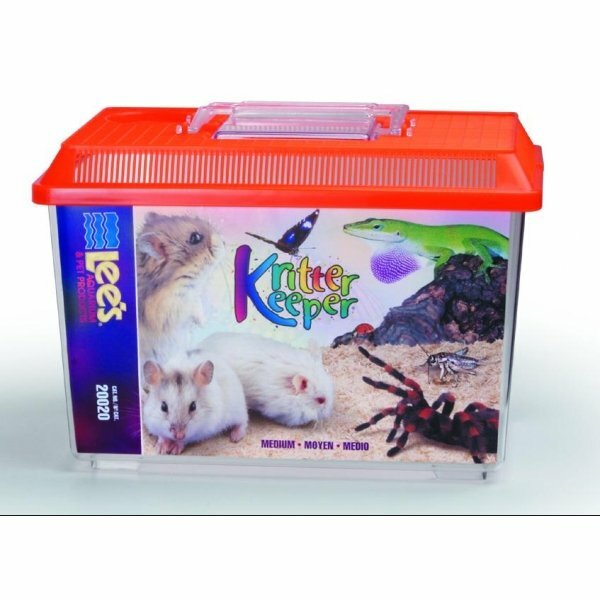 Kritter Keeper Fish and Reptile Homes has different options and/or variations, please choose below. 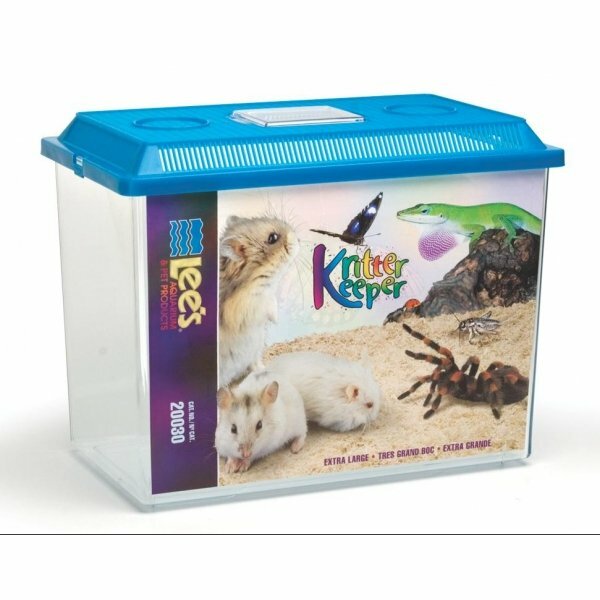 Ventilated enclosures constructed of durable, easy to clean plastic make comfortable homes for a variety of fish, small animals, reptiles, or amphibians Self-locking lids with hinged view/feeding windows. Available in a variety of sizes. Also great for starter homes, nurseries, insect havens, or quarantine tanks. 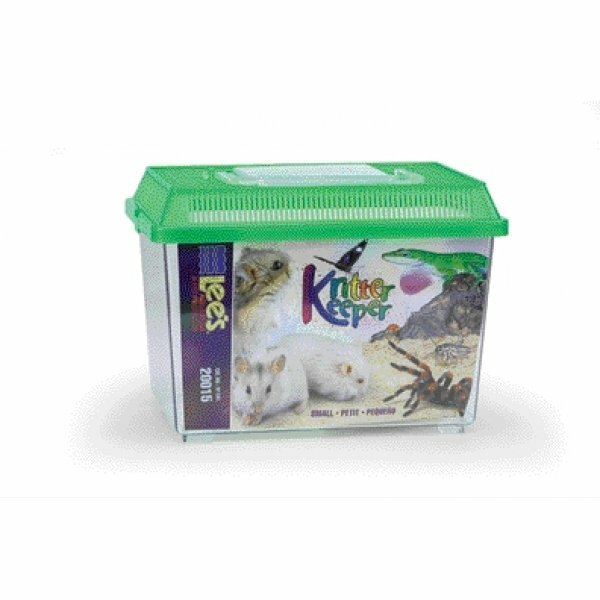 Self-locking lid securely snaps onto base, assuring your pet stays inside. Lid features hinged viewer/feeding window, airline tubing access hole, and knock-out attachment hole. Footed base. 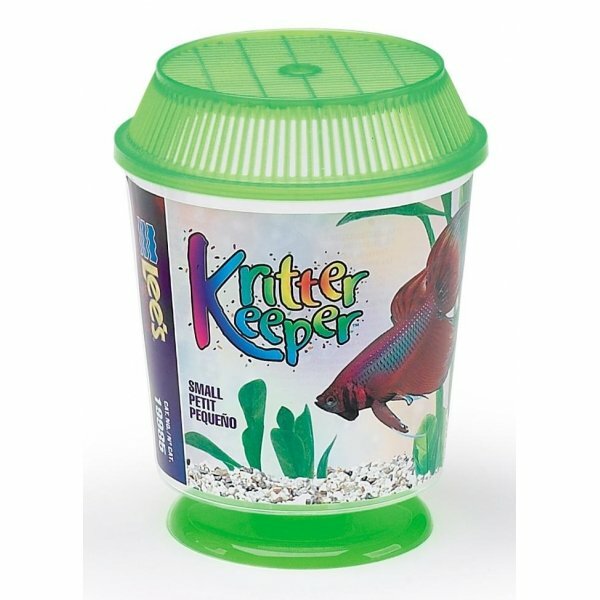 Kritter keepers may be used as a space-saving aquarium or insect haven. 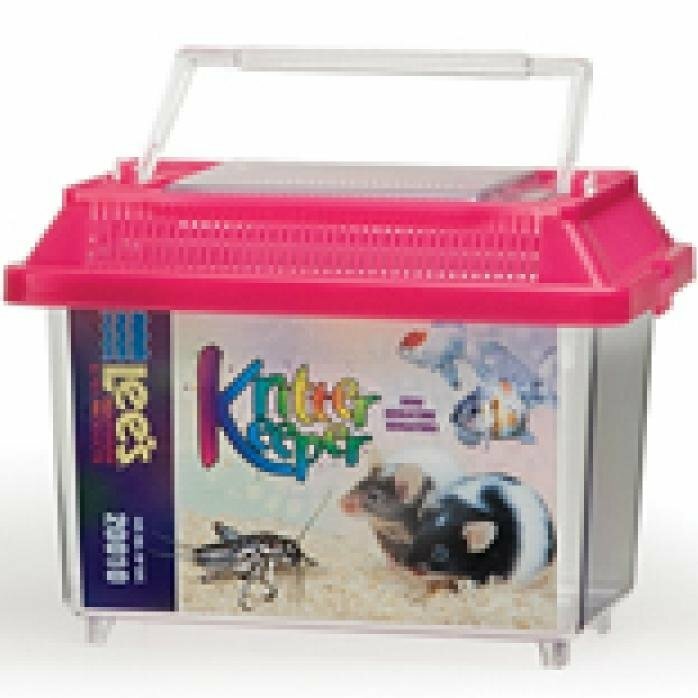 Also ideal as a small animal keeper, kritter tote, terrarium or nursery. Self locking lids and carrying handle for easy transport7-1/8 Long X 4-3/8 Wide X 5-1/2 High Rectangular, High Quality Plastic. 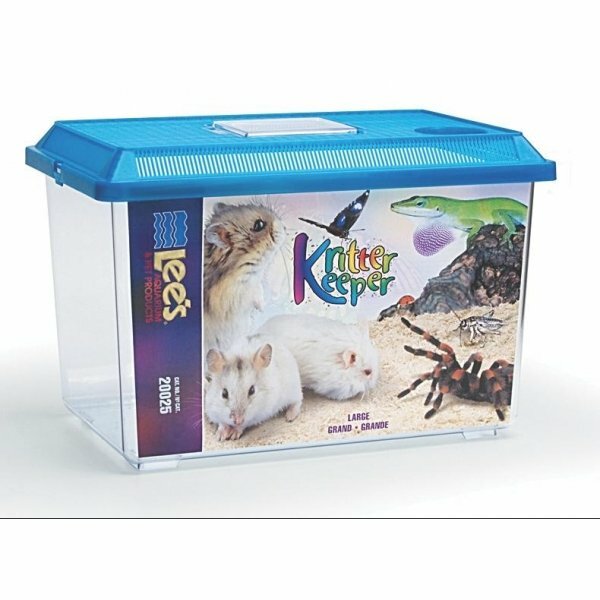 Also ideal as a small animal keeper, critter tote, terrarium or nursery. Self locking lids and carrying handle for easy transportSmall Rectangle, 9-1/8 Long X 6 Wide X 6-5/8 High Made Of High Quality Plastic. Ideal home for betta splendens siamese fighting fish. Self locking lids with hinged viewer and feeder windows, an airline access hole and carrying handle for easy transportHigh Quality Plastic 11-3/4 Long X 7-3/4 Wide X 8 High Medium Rectangle. Self locking lids with hinged viewer and feeder windows, an airline access hole and carrying handle for easy transportHigh Quality Plastic, Large Rectabgle, 14-1/2 Long8-3/4 Wide X 9-3/4 High.